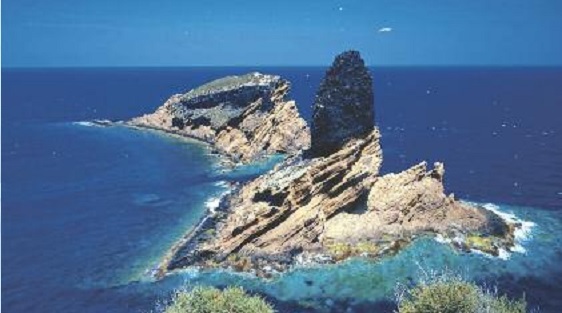 From the anchoring point located in the bay of Isla Grossa, head towards the channel and go between it to a small island called the Mascarat that leads to the open sea. In order to spare some air it is advisable to swim to the middle of the channel. From this point the dive can begin without having used a large portion of your oxygen. However, at Grossa Exteriror there is the possibility of strong outward currents. Under such conditions the dive must begin from the shore. 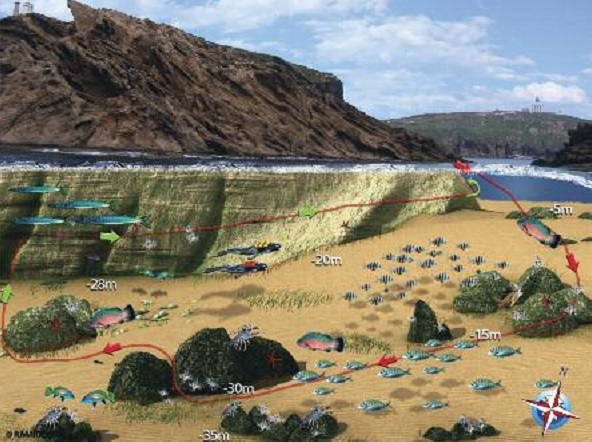 The start of the dive will take you through a rocky corridor in a shallow area that is inhabited by an abundance of life. It is not uncommon that huge Groupers and shoals of Barracuda are seen in this area. The best route for the dive at Grossa Exterior is slightly away from the wall, as this is where the greatest species richness can be appreciated around the large rocks that decorate the bottom. It is usually easy to find Lobster living around these rocks. Further away from the rocks the depths drop to over 35 and the bottom becomes sandy and more lifeless. At this point look for the wall and return with the wall on your left hand side. The wall of Grossa Exterior appears as a vertical face with colorful algae and sponges between which Starfish and Nudibranch can be seen. The return to the channel reduces the depth of the dive and allows for the removal of excess nitrogen. I hope that you will enjoy this beautiful dive site and don`t forget to keep your eyes on air and depth gauge.